In the first instance, when booking a session for Sacred Esoteric Healing, you may assume you know little about what this form of healing is, and how this healing occurs. how they do innately know this form of healing. In a session of Sacred Esoteric Healing, a client may typically come with something that may be troubling them, such as an illness or an injury, or something in their life that they don't understand or need some clarity with – a relationship issue, a hurt that keeps on repeating in a pattern, or perhaps an inner niggle that simply says there is more to life than what they are living, and they are searching for or seeking to find what that ‘more’ is. In most cases, when the negative impacts of such issues and or feelings of discontent become too much, people will in some way or another seek a form of healing, meaning that they seek to change the ill or discomfort. Choosing a Sacred Esoteric Healing session in this case is a specific choice on the part of the client to arrest the ill energy and ill-behaviours that have led to the negativity in one’s life, and re-connect with their inner-most, the Soul. The Soul is an abundant source or life force of energy that is pure love, and it is a powerful centre for healing and transformation that we can all connect to. During a session, this re-connection establishes a place of stillness and repose for the whole body, and as we revisit a place that we know inherently, it reminds us of the grace of who we truly are, that confirms the fact that we are more than what we are currently living and experiencing as our negative issues. Sacred Esoteric Healing understands that 'we' are not our issues or ill-behaviours, but that these aspects of human life are the result of ill or negative energy that is chosen in contra to otherwise expressing our true qualities of love, truth and harmony. 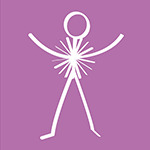 The session thus assists the process of releasing the 'package' of harmful energy that has been absorbed and configured into the physical body, arising from the tensions and stresses of life that we have become emotionally or mentally disturbed about, and in turn, replenishes and re-ignites our loving energy known as 'fiery' energy. An interesting point to note here is that many clients have reported that they notice that the process of healing actually commences the moment they book their session for Sacred Esoteric Healing, observing physical changes in their body, heightened sensitivity, feeling more emotional, or sometimes an anxiousness that often precedes a period of change. However, this is not really a phenomenon in the understanding that everything in life is interconnected and that the energy that generates all life is constantly communicating with us and everything else. Hence the interesting point and key premise of this modality is the fact that the practitioners understand that they are a facilitator in the process of a client’s healing and not the 'owner' of it. This 'pre-healing' aspect begins by virtue of one’s willing choice to 'go there' and seek to truly heal; which means the client, having said “yes” to a healing, is then under the influencing healing aspect of their own Soul, to which their physical body naturally responds, thus giving evidence to the fact that life is always about energy and constantly about healing. Serge Benhayon, founder of Universal Medicine, and the man who impressed and founded this modality says, “eighty per cent (80%) of the healing comes from expressing honestly what is going on for us, verbalising and or nominating the key and root of our dilemmas; the other twenty per cent (20%) comes from the transmutation of the offending ill energy out of the body, which is facilitated to occur on the healing table”. In expressing the truth of what is preventing their life from flowing and the obstruction to feeling love, the client begins to expose the disharmonious energy within. This then leads to gentle hands on healing techniques on the client’s (fully clothed) body, to clear and discard the disharmonious energy called 'prana' out of the body. The healing techniques are applied to and consider the whole body. They are non-invasive and move in a way to support stillness so as to allow the client to trust deeply, let go of control and surrender to their inner being. This is their connection to the 'Esoteric'. It is not something secret or hidden as commonly assumed, but a natural and known connection to the place where the Soul resides within. This offers a powerful healing if the client is willing and committed to choosing to align to the 'fiery' love on offer. The client’s awareness expands and they have the opportunity to feel the truth of all their choices, past and current, and reflect on how they have been living. This moment can be challenging and confronting at times because of what gets exposed from within the body for healing. Our bodies can tell us we have been straining or living with too much tension, or we can feel the level of our own self-abuse, or the aftermath of discord within us from a bad relationship. The beauty of a Sacred Esoteric Healing is that this healing offers true loving support from the inner-most so the client feels held from their own loving connection, whilst also bringing the accountability and potential of responsibility from the body, but without judgement. Clients alighting from the healing table often report feeling calmer, more connected, more relaxed and centred in their body. There is in these moments the known potential to change the beliefs, ideals, behaviours and patterns they have been living that have hurt them and made them ill, sick or disconnected. In the Before and After’s Project which can be found on the Presenting Universal Medicine Website, there are many stories about people who have had life changing experiences since making a commitment to their own healing with the support of the Universal Medicine Therapies. Essentially the project is a study of their lives before coming to Universal Medicine, its teachings, courses and retreats on Science, Religion, and Philosophy. What is profound and evident is the impact of Sacred Esoteric Healing in its ability to shift the negative energetic conditions in the body so that people are more aware, freer, lighter and less disempowered from choosing a loving alternate way to live. These personal stories are visible, relatable, developing and truly inspiring.